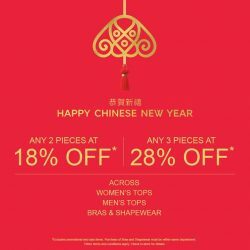 [Marks & Spencer] CNY Shopping? 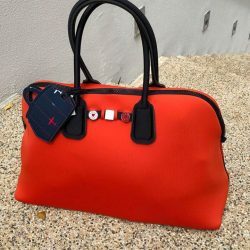 [Crumpler] Our already massive End of Season Sale just got even bigger with dozens of styles and colours being added. 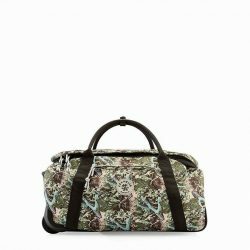 [Crumpler] Cocktail, Cactus and photography gear! 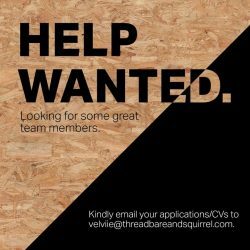 [threadbare & squirrel] Looking for some great individuals with a passion for sales and service. Looking for some great individuals with a passion for sales and service. Must be able to function as an adult and work independently. We'd love to meet you if you think you have something to offer the team. Students are welcome to apply. Answering the following question in your email wouldn't hurt. If vibrant color is your cup of tea, don't miss the adicolor series collection launching tomorrow at STAR 360 Wheelock & Bugis. 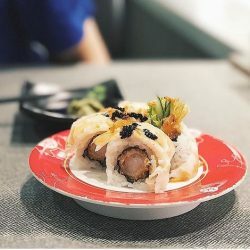 [Sakae Sushi] T – 0| Calling out to our Sushi fans. [Jurlique Day Spa] Nurture your hands with our Hand Care Ritual Treatment. Nurture your hands with our Hand Care Ritual Treatment. Starting with en exfoliating hand treatment which is a 2-in-1 treatment mask and scrub that deeply cleanses and protects your hands. It has a combination of red and white clay that absorbs impurities whilst its natural Jojoba beads gently exfoliates your skin. This is then followed by the application of our New Nail and Cuticle Treatment Oil that deeply nourishes and conditions your nails and cuticles. The oil contains Carrot root and Calendula extracts which assists in the soothing of cracked cuticles and Almond and Macadamia oils to intensely hydrate and restore moisture. Your hands is than moisturised with our Rose Hand Cream which provides lasting hydration and has natural antioxidant properties leaving your skin soft and supple. The soft and natural scent will soothe your senses and reconnect you to nature. 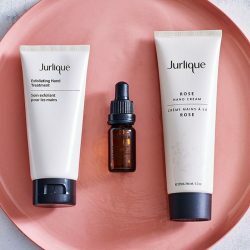 As a new launch to our hand care ritual treatment, we would love to offer you a first trial offer of $30 (usual price $60) for our Jurlique hand treatment when paired with any facials or massage treatments. [Melissa] No Monday blues, only vouchers in red packets. lucky one to get a $50 voucher! [Melissa] Is it Chinese New Year yet? Is it Chinese New Year yet? Countdown to the Chinese New Year with Melissa! We have a slew of activities and promotions lined up for you as we look forward to Chinese New Year with more shopping and new shoes. Drop by any MDREAMS boutiques on 15 Jan 2018 and chase away the Monday blues with lucky angbaos! 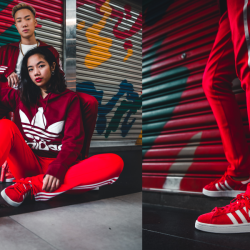 Redeem your vouchers on 15 Jan 2018 and enjoy additional 10% off when you purchase 2 pairs or more! [Arch Angel] Treat the man in your life to a handsome winner for his feet. 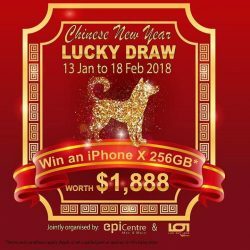 [EpiCentre Singapore] Chinese New Year Win an iPhone X Lucky Draw*. 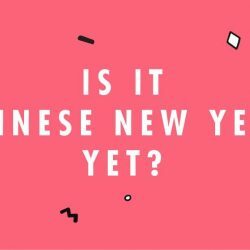 Chinese New Year Win an iPhone X Lucky Draw*. Stand a chance to win an iPhone X this Chinese New Year when you spend more than $150 in either EpiCentre or Live Out Loud retail stores. 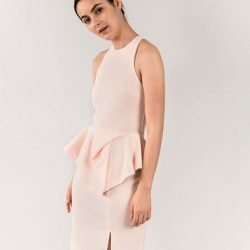 [Revolte X She Shops] Duo The Label seeks to create luxe wardrobe staples which transcend trends and seasons. Duo The Label seeks to create luxe wardrobe staples which transcend trends and seasons. Versatile pieces are crafted through refined silhouettes and quality fabrics, with the focus of keeping it comfortable and fuss-free. The result is a timeless classic which embraces the feminine way of dressing with minimal effort. [Raffles Japanese Clinic] Know of someone with diabetes? 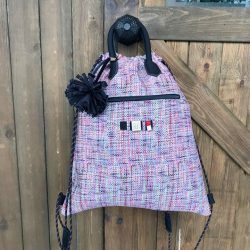 [Save My Bag] Update your Save My Bag simply by changing the bow strap! [Raffles Japanese Clinic] How do you gain the trust of others and what keeps you going at work? How do you gain the trust of others and what keeps you going at work? 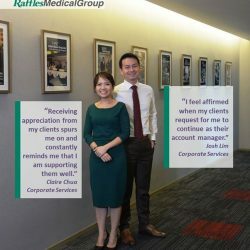 We get Ms Claire Chua and Mr Josh Lim from our Corporate Services team to share with us. 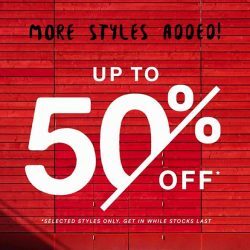 [Marks & Spencer] Kickstart your CNY shopping with M&S! Kickstart your CNY shopping with M&S! 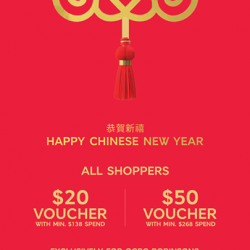 In the spirit of happiness and prosperity, receive a $20 or $50 voucher* when you shop with us! If you're an OCBC Robinsons Visa Card Member, you'll receive an additional $10 voucher*. Happy Chinese New Year! 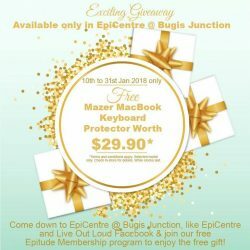 From now til 31st Jan 2018, Come down to EpiCentre @ Bugis Junction to receive a free Mazer MacBook keyboard protector (selected model only) worth $29.90*. Just show our friendly staff that you liked EpiCentre and Live Out Loud Facebook & sign up for our free membership to receive the free gift. 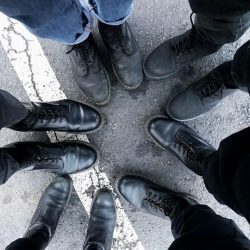 [Dr Martens] Friends who Doc together, rock together. Friends who Doc together, rock together. 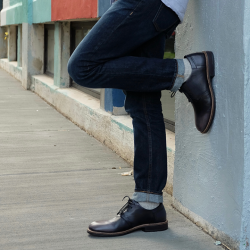 #drmartensstyle.